Hi! 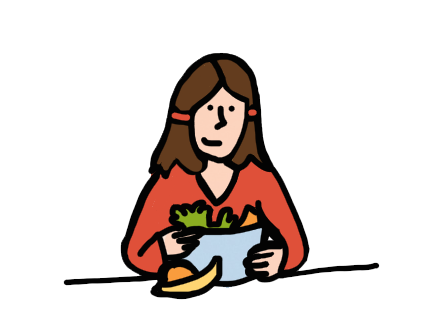 My name is Nic and I’m a UK Registered Dietitian and Blogger. Part of my role involves working with ladies who are pregnant and Anna thought it would be useful if I made a note of the most commonly asked questions, along with my answers.. so here goes! 1. What dietary supplements should you take when you’re pregnant, if any? The UK Department of Health recommends that pregnant women should take a daily 400mcg folic acid supplement up to the 12th week of pregnancy, and it should actually be started before pregnancy, i.e. once contraception is stopped. Some women, for example those with diabetes, need a higher dose of folic acid (5mg). It is also recommended to eat a diet rich in folate i.e. including green vegetables such as spinach or kale as well as fortified breads and cereals. Folic acid and folate help to prevent neural tube defects (NTD) in babies. Pregnant ladies should also take 10mcg of vitamin D daily to help prevent rickets in babies. There are specific multivitamins for pregnant women available which combine both the folic acid and vitamin D and exclude vitamin A, which in large doses can cause birth defects. A pregnancy suitable multivitamin is not however a substitute for a healthy balanced diet consisting of 3 regular meals, plenty of fruit and vegetables, wholegrain carbohydrates, lean protein and dairy foods. 2) How many extra calories can you eat when you’re pregnant? The common belief that you can “eat for two when you’re pregnant” is unfortunately not true (!) … your body actually doesn’t need any extra calories for the first 6 months. In the last three months of pregnancy (the third trimester) your body may need a little extra food, around 200 calories which is the equivalent of a bowl of fruit & yoghurt, porridge made with milk or a slice of granary toast with peanut butter. Make sure to eat nutrient rich foods throughout your pregnancy so that your baby can thrive. 3) Are there any foods and drinks to avoid when you’re pregnant? If you’re a tea or coffee lover then take note – caffeine should be limited to no more than 200mg a day, which is the equivalent to 2 mugs of instant coffee or tea a day, or 5 cans of cola. Alcohol should also be avoided, particularly for the first three months. If you do drink make sure to have no more than 1 or 2 units once or twice a week. One unit is the equivalent of approximately 100ml of wine or 25ml of spirits of 1/2 pint larger (amounts will vary depending on the strength of the alcohol). You should avoid eating unpasteurised soft cheeses with mould e.g. Brie and Camembert or soft blue-veined cheeses which may contain listeria, as well as all types of pate. You should also avoid eating raw or undercooked eggs due to a risk of salmonella as well as undercooked meat. Regarding fish, you should avoid eating shark, marlin and swordfish due to contaminants such as mercury and you should limit fresh tuna steaks to twice a week and canned tuna to 4 times a week. Eat oily fish such as salmon, mackerel and sardines which is great for heart health, no more than twice a week. From a nutritional point of view you should limit your intake of greasy takeaways, sugary drinks, sweets, chocolate bars and cakes or biscuits as they provide little in the way of nutrients as well as lots of calories which could cause excessive weight gain. Have a go at making some of Anna’s delicious treats instead! 4) What is a healthy weight gain when you’re pregnant? It is recommended that if you are overweight (BMI of over 25) to gain around 1 stone, if you are of a healthy weight (BMI 18.5-24.9) to gain around 2 stone and if you are underweight (BMI of less than 18.5) to gain around 3 stone. It is best to avoid excessive weight gain in order to have a more comfortable and enjoyable pregnancy, to reduce the risk of pregnancy complications and to have less weight to lose after your baby! It is not recommended to try and lose weight during your pregnancy. 5) How do you avoid constipation during pregnancy? Make sure to eat plenty of high fibre foods such as fruit, vegetables, pulses, oats, and eat the ‘brown versions’ of food e.g. wholegrain bread, wholemeal pasta, brown basmati rice and wholegrain cereal such as weetabix. It is also essential that you drink lots of water to help keep your digestive system flowing nicely – oh and keep moving your body, walking is one of the best exercise for pregnant ladies! I really hope you find these tips useful! ← Protein Powder… in Pregnancy?